Look at it. That bright orange Amba sitting innocently in that mason jar is the stuff dreams are made of. This pickled-salted-fermented sauce is something that shouldn’t make sense but, clearly, it does. It’s the drunk uncle at the family reunion who you should avoid, but can’t. His stories are too good to walk away from. 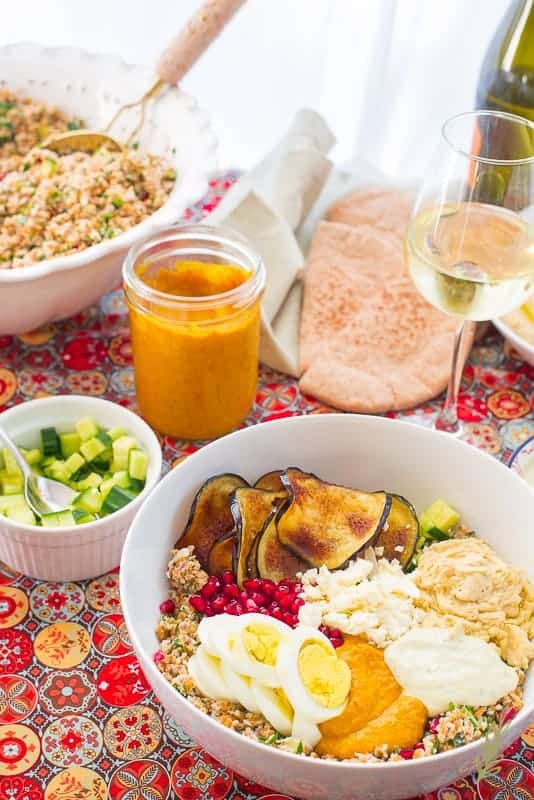 Amba is a decidedly Middle Eastern condiment. I’m not quite sure which culture first produced it; it has origins in Indian and Arabic cuisine. My first foray into Amba was via an Israeli sabich bowl, but the Israelis received it from their Iraqi brethren, so who really knows? If you do, do tell. Amba is made from very green mangos which have been salted anywhere from a few hours, up to five days. My recipe, while adaptable to your schedule, calls for the full Monty. A full workweek of salting. The result, when coupled with the powerful punch of the warmed spice mixture, is nothing short of indulgence. Yes. A chutney can be indulgent. If you don’t know what a chutney is, think cooked salsa. 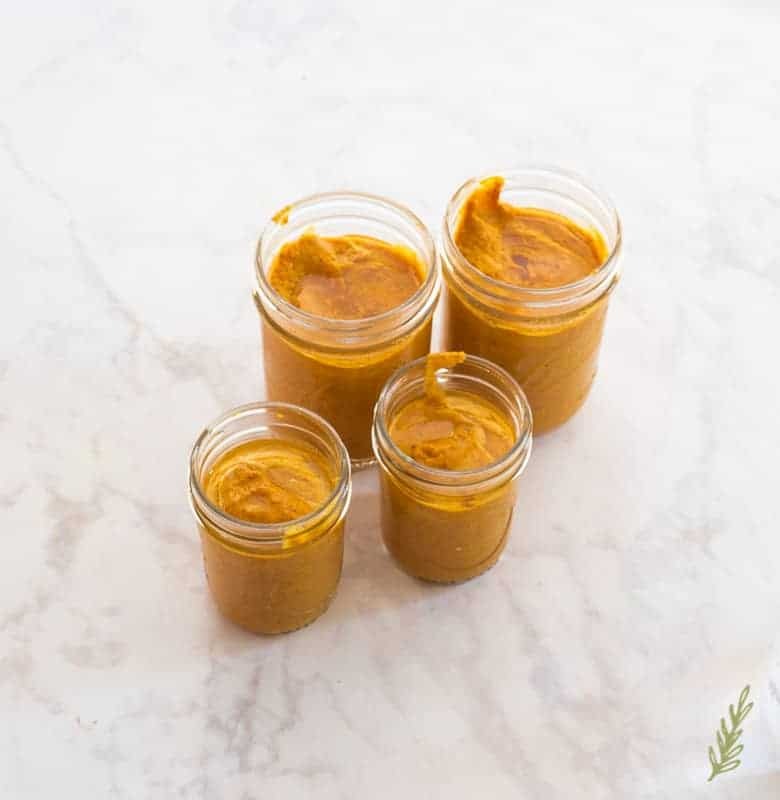 Some are left chunky, others are pureed. Mine is more sauce than relish, because I typically use it as a coating or as a dip. As always, I leave it to you to decide if you want to puree or not. 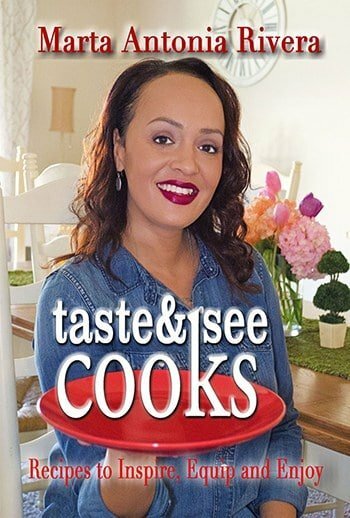 I recommend it for this recipe just because of the whole spices that are used. 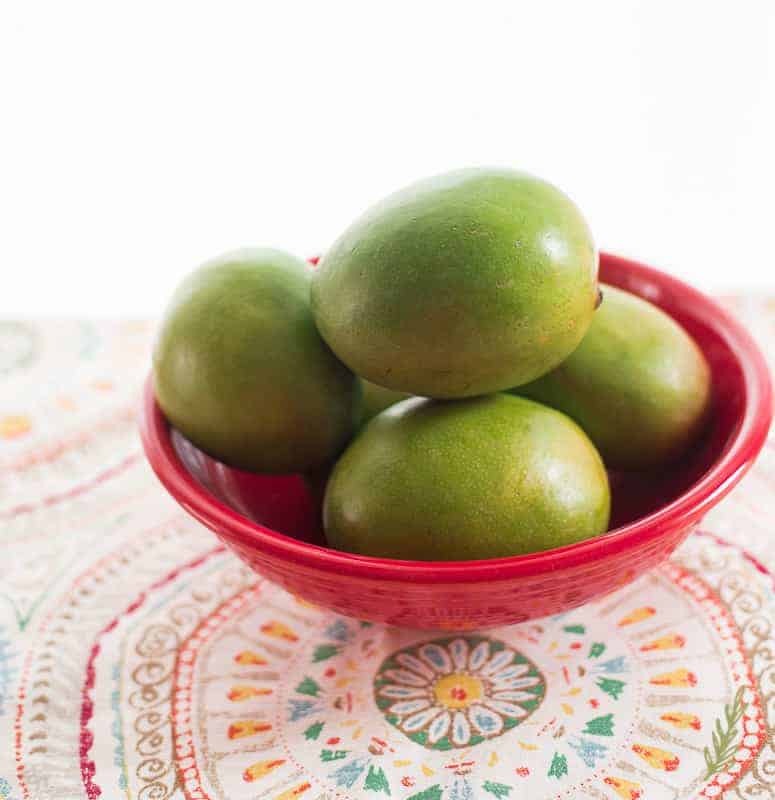 To begin our Amba, we need very green mangos. Mangos so unripe, they hardly have any orange or red on the skin. Use medium-large Tommy Atkins (the most common variety found in grocery stores) not the smaller Ataulfo mangos. The latter are hardly ever sold unripened in most grocery stores, so the former are what you’ll have better access to. If you have the rare allergy to the mango’s skin, make sure to wear gloves when peeling them. 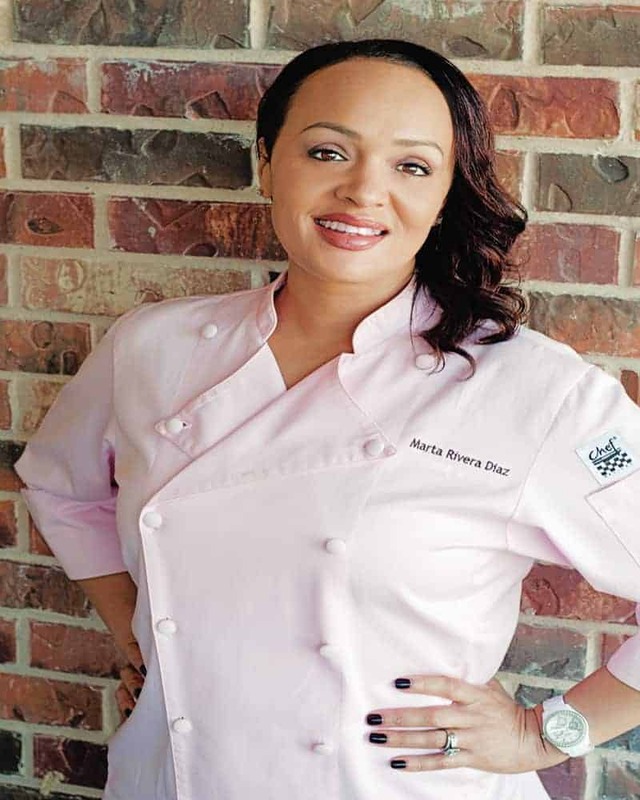 I learned about the risk of anaphylaxis and contact dermatitis through my culinary school production class. It was believed the allergic reaction is caused as a result of the mango being from the same family as the cashew. Hopefully, you know if you’re allergic. If not, proceed with caution. The first thing, in any food production, is to make sure you have a safe, stable cutting surface. This means your cutting board should not slide around whilst you’re trying to cut. To prevent a mobile board, place a damp paper towel, or two, between your countertop and the underside of the board. Press down, and voila! You won’t end up missing a digit. 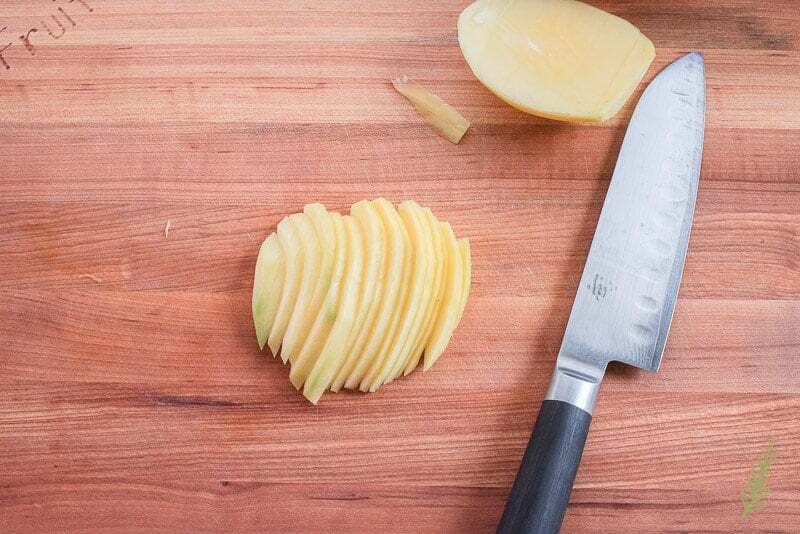 The next step in successful knife skills is to make sure you have a sharp knife. More people are cut with dull knives than sharp, so make sure yours is nice and honed. Just as we need a stable base to cut on, we need a stable fruit to cut. To do that, lop off an eighth of an inch slice from the stem end of the mango. This provides a very flat surface to stand the mango up on. Peeling the mango becomes much easier once you don’t have to chase it around the board. Starting at the top point of the mango, cut away the skin from top to bottom, in strips. Go around the mango until the peel is removed, then discard the peel. Now to remove the pit from the mango, you simply need to find the shape of the pit. The pit is shaped much like the mango is, except it’s flat. If you look at your mango, it should look like a semi-flattened egg. Imagine a slivered almond within that egg and that’s the pit. To remove it, you need that “slivered almond” facing perpendicular (or sideways) to you; as opposed to facing you (with its broadside towards you). Hopefully this is making sense. 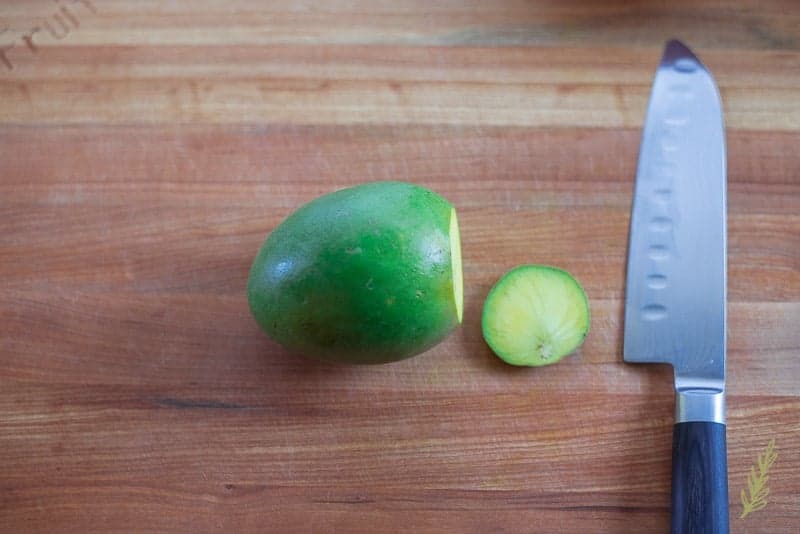 Position your knife at the top of the mango, about one eighth of an inch to the right of center. This will generally be where the pit ends. Cut straight down. You may, or may not, hit the pit. 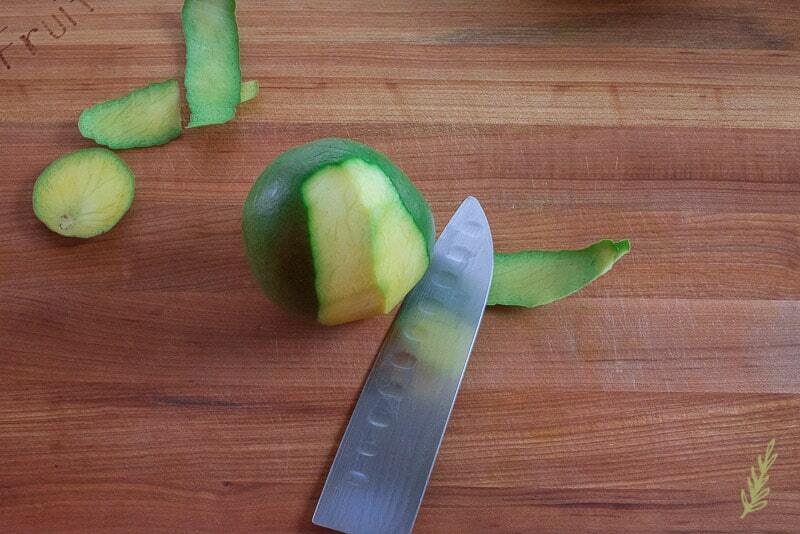 If you do just guide the blade around it until you’ve cut away the flesh of the mango. Repeat on the left side of the pit. Once the two fleshier pieces of the mango have been removed, you can cut away any excess flesh still remaining on the pit. Discard the pit. 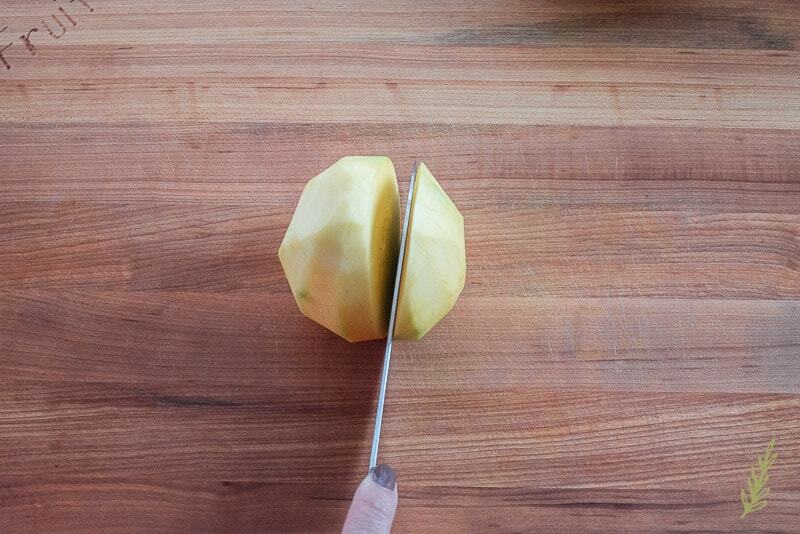 Slicing the mango is way easier than peeling it, or removing the pit. Just slice the halves into quarter inch thick slices. Toss all of the slices and mango pieces into a glass, or plastic, bowl. Metal won’t work for this because the mangoes will be heavily salted and you don’t want the salt to pit the metal or cause a reaction. 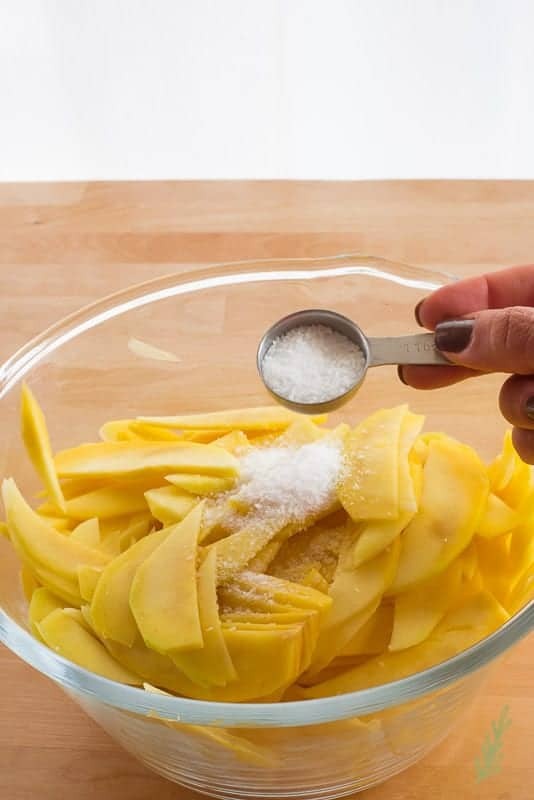 Salt your mango slices and give the fruit a few tosses to ensure it’s coated well. 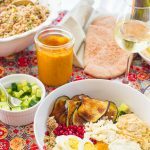 Wrap the bowl tightly in plastic film and store in a sunny area of your kitchen (or any room that gets a lot of sun) for up to five days. You want the mangoes to salt for at least four hours. Obviously, the more time you let them salt, the better the end flavor. Don’t worry about the danger of leaving this out on the counter for such a long period of time. Salting serves many purposes in this recipe. It inhibits the growth of bacteria by pulling out the moisture (water) in the mango slices. This step also encourages the fermentation process by allowing the good bacteria to do their thing. It’s kind of like kimchi…except not. After the salting period has elapsed (five days later for me), strain your mangoes in a colander. Be sure to save the liquid you strain from them! It’s important. After salting and straining, it’s important to get those mango slices bone dry. You don’t want a watery Amba because it will bog down the flavors. 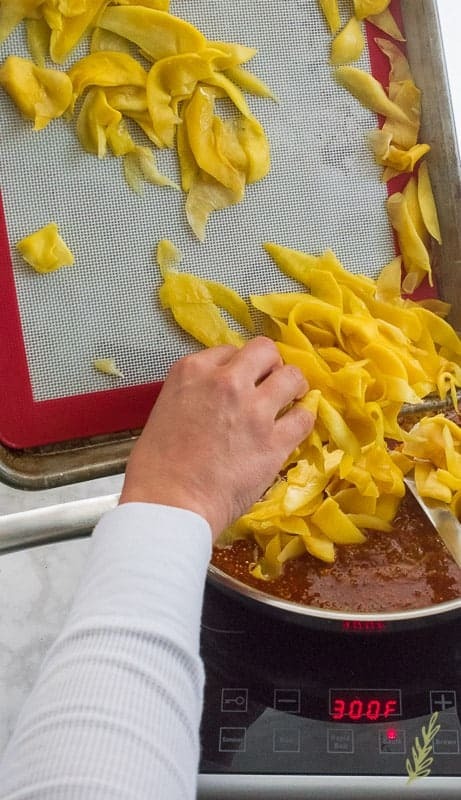 Lay out your mango slices on a sheet pan lined with paper towels. Place another layer of paper towels over your mango slices and press to absorb any excess moisture. You may think your slices are dry, but they aren’t. 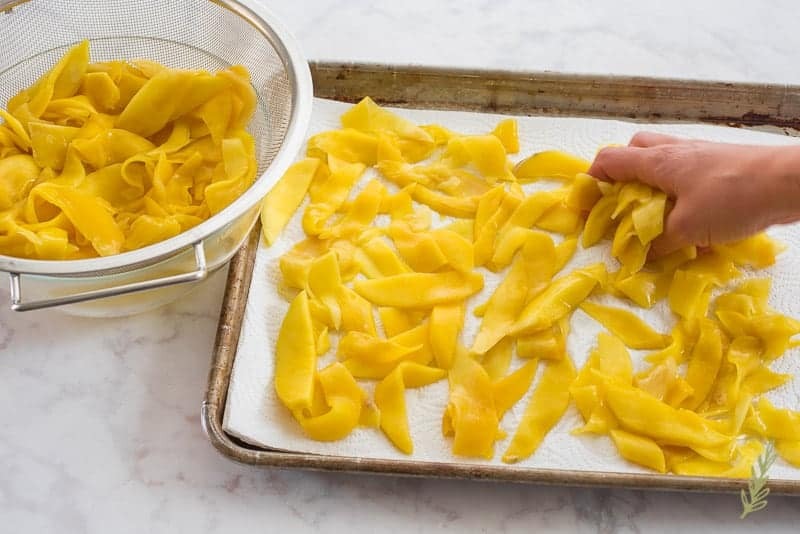 You can proceed one of two ways: you can allow the mango to dry out in the sun for three to four hours, or you can transfer them to a clean sheet pan lined with a silicon mat and bake at a low temp for an hour. I chose the latter. 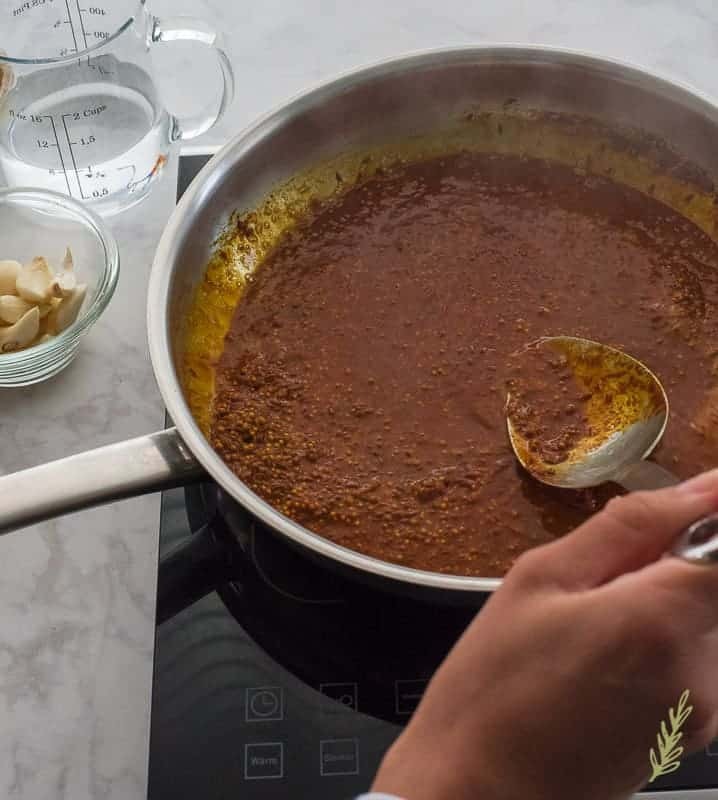 While an hour may seem like forever, you will be spending most of that time preparing your Amba’s sauce. That sauce begins by bringing the reserved mango juice to a boil. Once it’s reached a boil, remove the pot from the stove and set aside. We’ll be adding this to our Amba sauce later. Amba has a small amount of spices that create a huge punch of flavor. 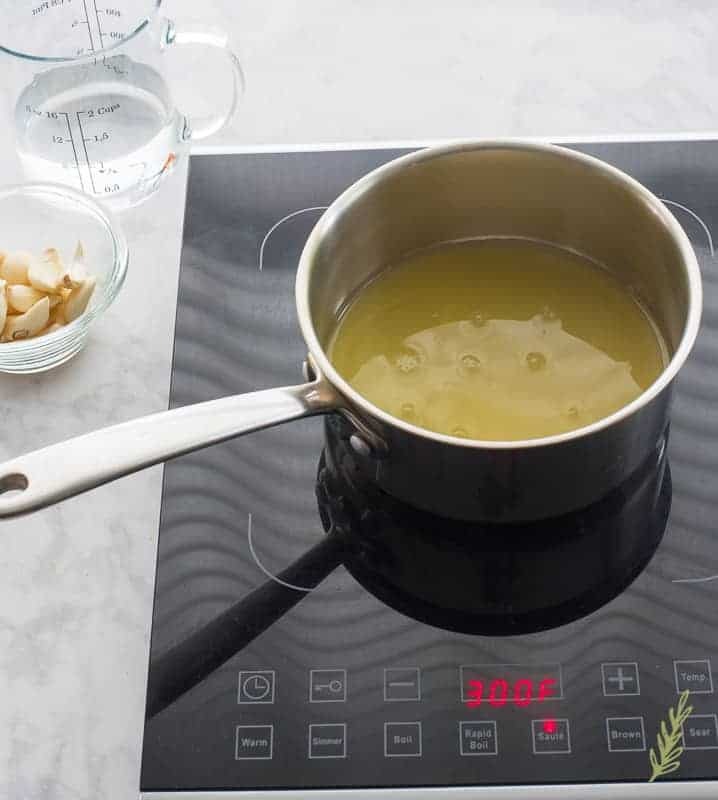 In a large pan heat the corn oil. 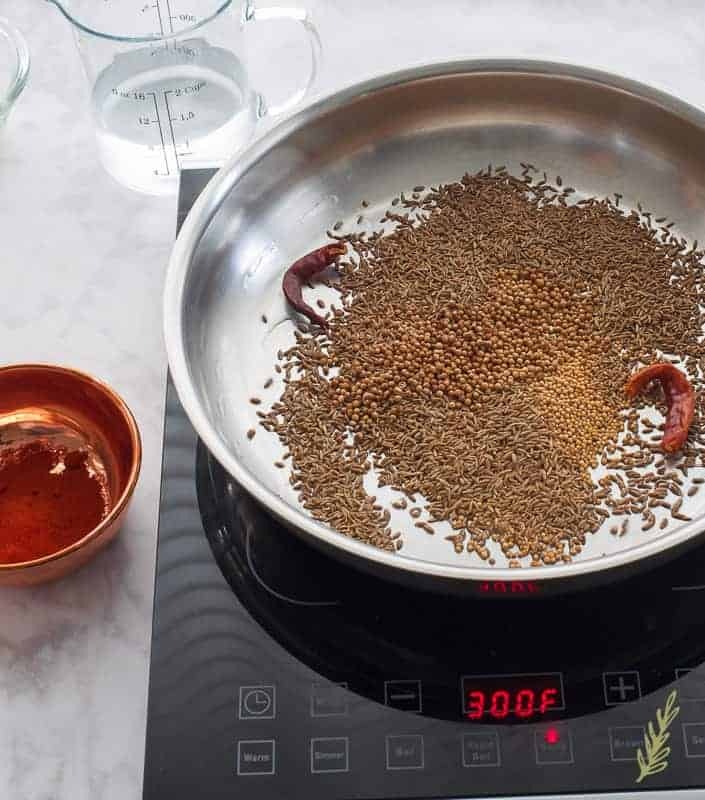 Once it begins to ripple slightly, add the cumin, mustard seeds, coriander, and dried chili peppers. 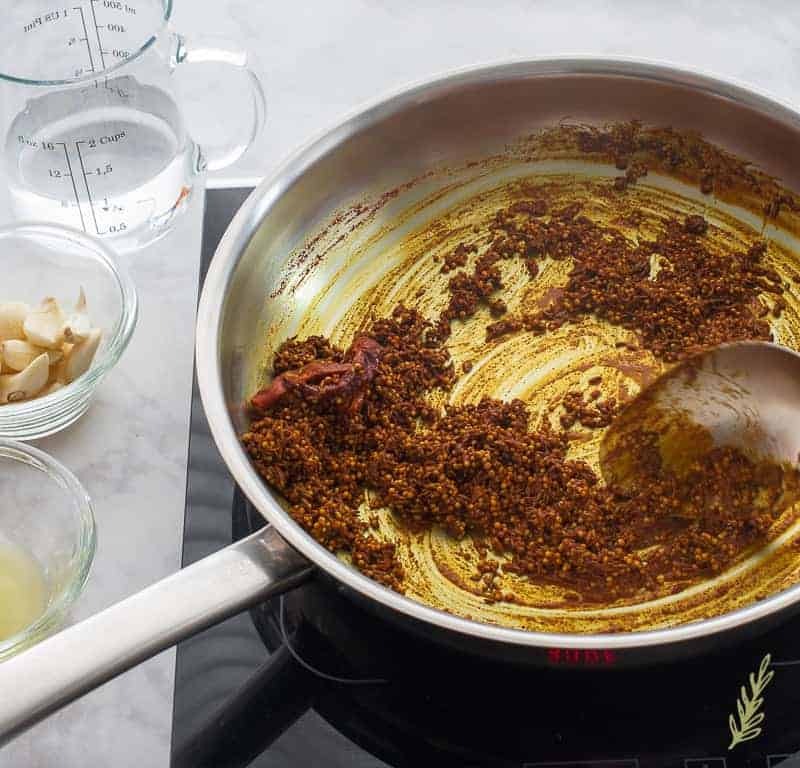 Once the spices begin to sizzle and pop, add the ground fenugreek, hot paprika, and the ground turmeric. Stir frequently to keep them from scorching. Once your spice mixture is fragrant (about two to three minutes), add that warm mango liquid. Stir everything together so it’s well-mixed. Now bring this mixture to a boil, then reduce the heat to a simmer. Allow this sauce to reduce almost until it is a thick sauce (tomato sauce consistency). By now, your mangos should be nice and dry. Add them to the simmering sauce and stir to combine. Add the garlic and lemon juice to the mixture as well. Pour a bit of water to thin the mixture out a bit and bring this to a simmer. 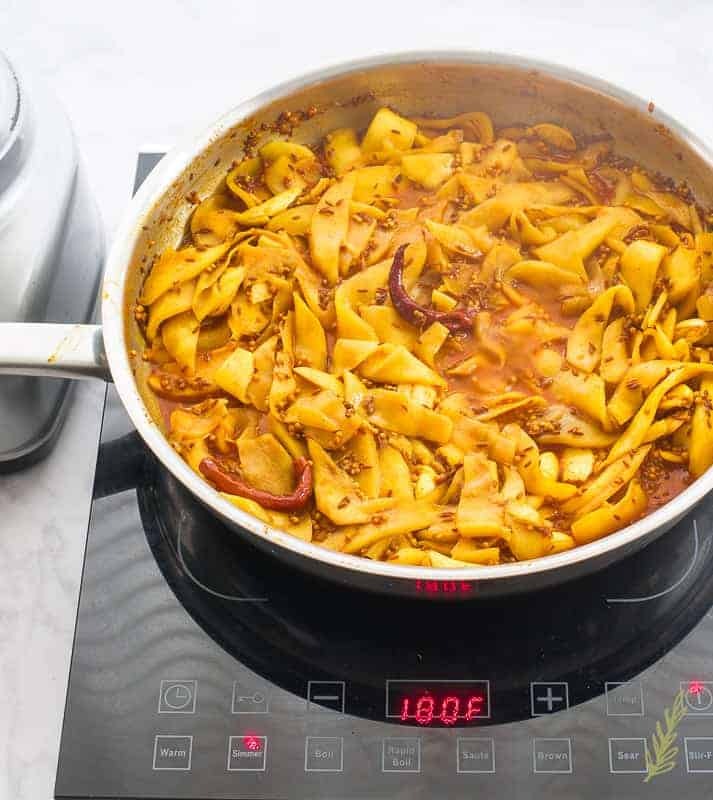 Allow this to cook for 15 minutes, or until your mango slices are very soft. If you notice the Amba is becoming too thick, or dry, add more water (a few tablespoons at a time). 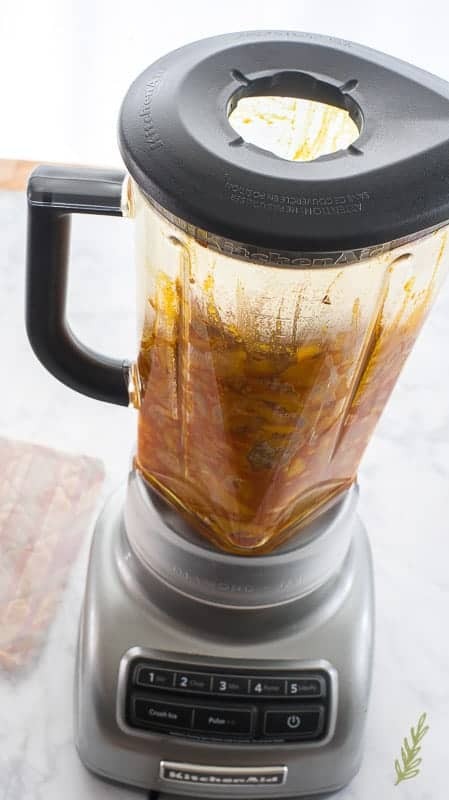 Once the mango has become soft, remove it from the heat and allow it to cool while you set up a food processor, or blender. Always remember: when blending hot things, you need to vent your appliance’s lid to avoid an explosion. I just remove the plastic plug from the blender’s lid and cover it with a folded towel. Add the mango mixture to the blender and puree until very smooth. 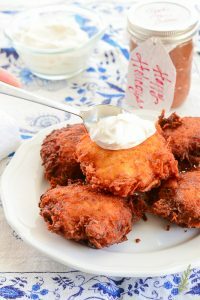 The final sauce should be the consistency of sour cream, or a thin yogurt. If it’s too thick add a small amount of water. Transfer the Amba to glass storage jars (I use Mason jars). 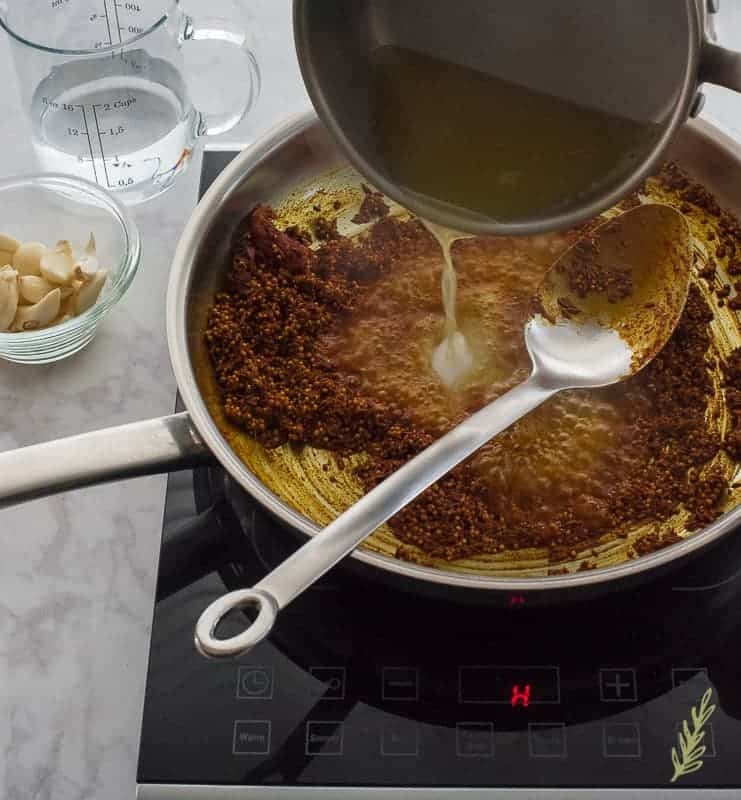 Float two tbsps of corn oil on to the surface of the Amba to mix in just before serving and your first Amba is done! Congrats to you with yo’ bad self! I know it was a lengthy process, but take one taste of it and it’ll be a monthly event for you. Once made, this keeps for up to a month under refrigeration. I top baked chicken with it, dip these Egyptian Falafel in it or even pita chips. There’s no debate. This is worth the effort, so pin this for later and share it with your world. 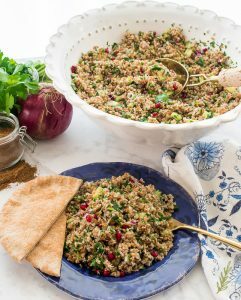 A delicious, albeit labor-intensive, recipe; perfect for dipping or serving atop your favorite meat or seafood. Toss sliced mango and salt together in a glass or plastic bowl. Cover the bowl tightly in plastic film and store in a sunny area of your kitchen anywhere from 4 hours to five days. 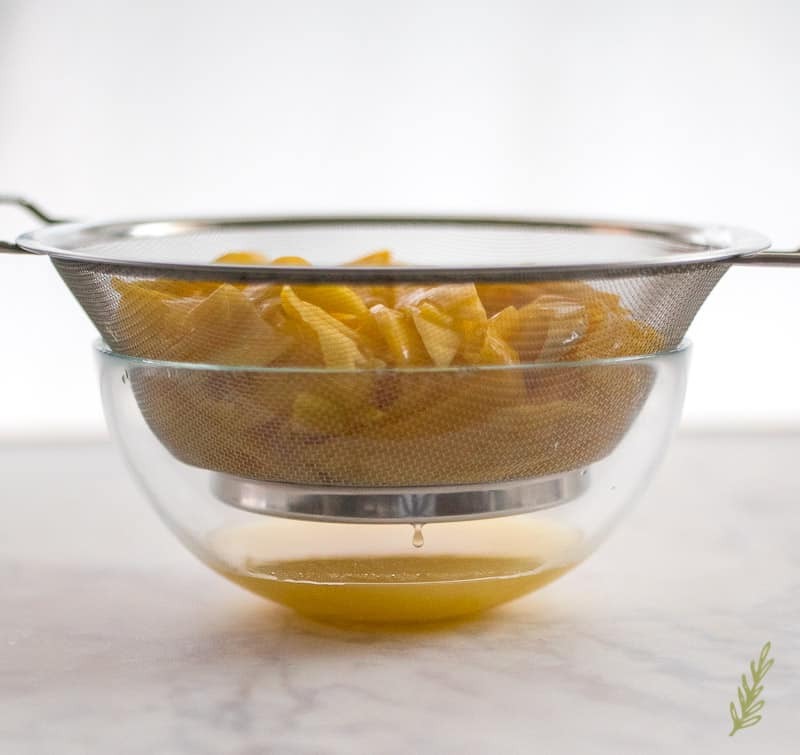 After the salting period has elapsed, strain your mangoes in a colander over a clean bowl. Be sure to save the liquid you strain from them! Lay out your mango slices on a sheet pan lined with paper towels. Place another layer of paper towels over your mango slices and press to absorb any excess moisture. 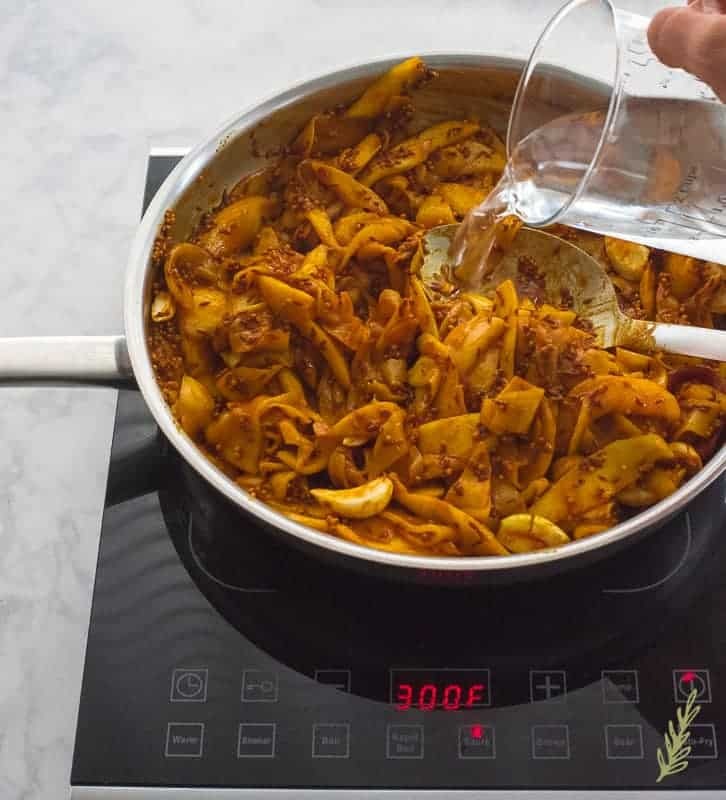 Allow the mango to dry out in the sun for three to four hours, or transfer them to a clean sheet pan lined with a silicone mat and bake at 170°F for one hour. While your mangos are drying, bring the reserved mango juice to a boil. Remove from the heat and keep warm. In a large pan heat 1 1/2 tbsp of the corn oil over medium-high heat. Once the oil begins to ripple, add the mustard seeds, coriander, cumin, dried chili peppers. Once the spices begin to sizzle and pop, add the fenugreek, paprika, and turmeric. Stir frequently to keep the mixture from scorching. Once your spices are fragrant (about two to three minutes), add the mango liquid. Stir to combine. Bring this mixture to a boil, then reduce the heat to simmer. Allow this sauce to reduce until it is a thick sauce (tomato sauce consistency). 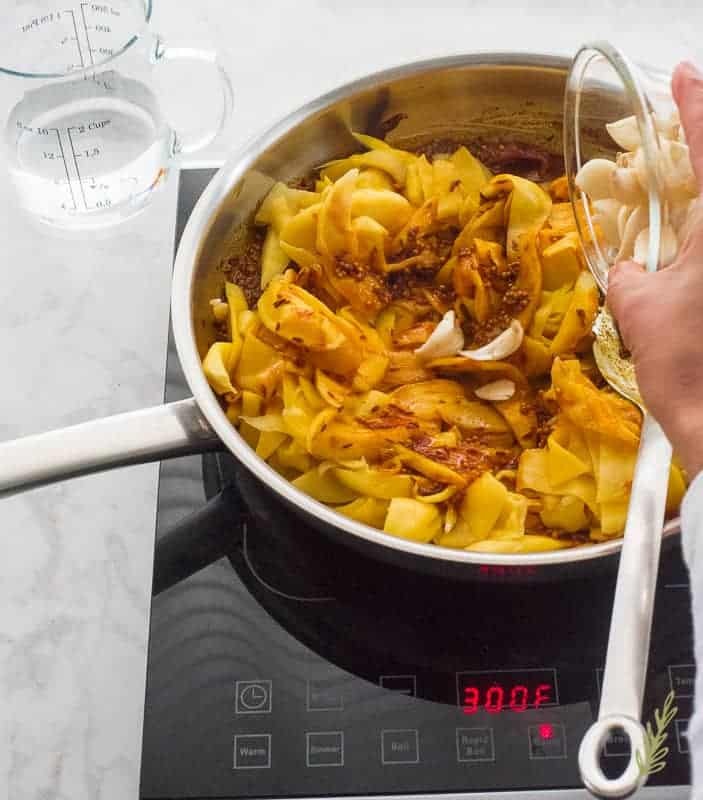 Add the dried mango slices to the simmering sauce and stir to combine. Now add the lemon juice and garlic and stir well. Pour a tbsp of water to thin the mixture out and bring to a simmer. Allow this to cook for 15 minutes, or until your mango slices are very soft. If you notice the Amba is becoming too thick, or dry, add more water (a few tablespoons at a time). Once the mango has softened, remove the pan from the heat and allow it to cool slightly. Pour the mango mixture into a blender and puree until very smooth. Remember to vent your blender's lid and cover it with a folded towel to prevent mishaps. The final sauce should be the consistency of yogurt. If it's too thick add a small amount of water. Transfer the Amba to glass storage jars. Float two tbsps of corn oil on the surface of each jar of Amba to mix in before serving and refrigerate until cool. This Amba will keep for up to one month under proper refrigeration. Prep time is a minimum of 4 hours of salting, max of 5 days. Drying time can be done in a low temp oven (170°F) for 1 hour, or in the sun for 3 to 4 hours. Totally new condiment for me. Love trying out new things. Color is beautiful. I agree. All natural and tasty to boot, Candy. I’m sure you don’t give yourself enough credit, Keating! Thank you so much! I’m not the biggest fan of mango but with all that other flavor, I think I would love this! Your pics are so pretty too! It’s weird, Jen, but there’s only the slightest hint of mango underneath all of that flavor. I think using unripened mangos helps a lot with that. I am a pescetarian so I always appreciate vegetarian recipes. This looks delicious! I can’t wait to try it. This looks so authentic and completely gorgeous! I love mango chutney but I’ve always been too intimidated to try making it myself. This is inspiring me, especially since my husband adores mango anything. This sounds so good. I bet all those flavors together is amazing. Thank you for sharing. Yes, they are so complimentary, Annette. Sorry about that, Tom! Yes, it’s a 1/4 cup of cumin seeds.